March | 2013 | Crystal Water Villas Blog - Lake of the Ozarks! Two things that don’t got together: Boredom and Lake of the Ozarks! When you visit the lake, there’s never ever a shortage of things to do and see. Since it’s (slowly) starting to warm up, we figured we would share some events that are taking place in April at the Lake of the Ozarks. April 4-7th: Jacob’s Swapping Days: Acres of crafts, collectables, pigeons, poultry, small animals (no horses, cattle or swine), and various products at Jacobs Cave. Mostly animals — ducks, chickens, rabbits. 200 different varieties of chickens. Rough camping and shower-house available. Refreshments sold. Reduced cave tour rates. Located on Route 5, between Gravois Mills and Versailles. Admission: $5 per vehicle. April 18-21: 63rd Annual Dogwood Festival: Fun for the family, featuring, among other activities: crafts; pageants; food; entertainment; a parade; a golf tournament; a fish fry; and a carnival. Please visit the website for details, locations and schedules. April 19-21: In-Water Boat Show: The In-Water Boat Show, sponsored by the Lake of the Ozarks Marine Dealers Association, allows you to see a variety of boats, including new cruisers, performance boats, runabouts, and personal watercraft. The show is held at Dog Days Bar and Grill; 19 mile-marker by water. 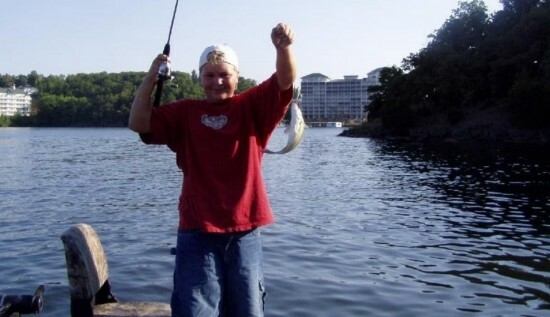 April 20-21: Big Bass Fishing Tournament: The Big Bass Bash on the Lake of the Ozarks has grown to become one of the Midwest’s largest amateur bass fishing tournaments. More than $150,000 in cash prizes, including a grand prize of $41,500 to the angler who hauls in the heaviest bass of the weekend. Horseback Riding at the Lake of the Ozarks! Hands down, one of the most memorable activities a family can do is horseback riding! Even if you don’t have your own pair of cowboy boots, you are still welcome! Horses are beautiful, gentle creatures and offer a unique experience you and your kids will never forget. Be sure to bring your camera along! Broken Gate Trail Rides: Broken Gait Trail Rides provide seasoned trail horses that you can lease or rent for a scenic horseback trail riding adventure through Central Missouri. We offer you the unique opportunity to experience Missouri’s natural beauty in a most natural way — by horseback! Give them a call at 573-796-6192. Circle R Stables: Located at the Tan Tar A Resort on Lake Road KK. Their address is 7475 Tan Tara Est, Osage Beach MO 65065. You can reach them by phone at 573-348-8687. This winter just doesn’t seem to end!! Although we’re ready for the cold to be over, we’ve had a whole lot of great memories this winter — from holiday baking to building a snowman. We want to see your winter memories!! Simply upload one of your photos from this winter by clicking here. Then, ask your friends and family to vote for your photo!! You can vote once per hour. The photo with the most votes by 5pm this Friday will win…a Free Off-Season Weekend at a 1-3 bedroom home. Now, go dig through your photos from this winter and enter the contest! As they say at the Lake of the Ozarks — “The fish bite when the dogwoods are in bloom”. 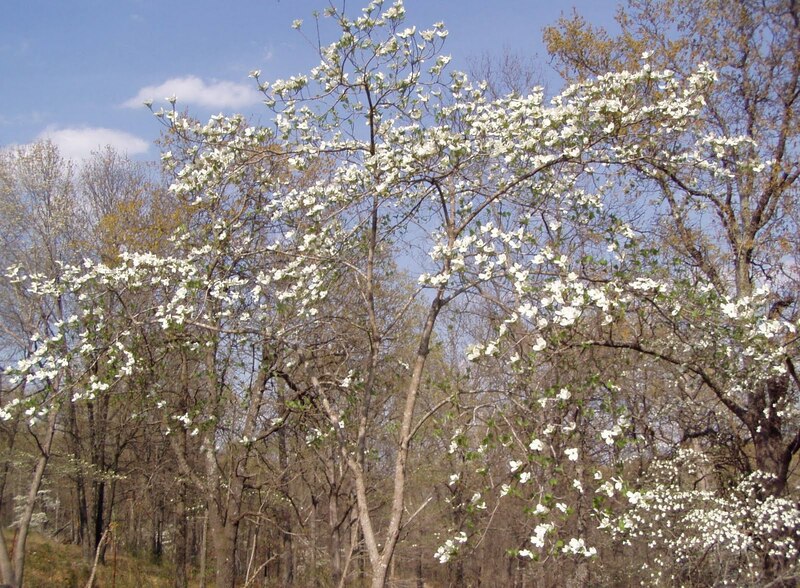 One of the most gorgeous times of the year to visit the lake is in April for the Dogwood Festival, which is held on Saturday, April 18th – 20th in Camdenton. There’s plenty to do for the entire family — enjoy live music, foods, carnival activities, beauty pageants, arts crafts and more. This festival brings in more than 10,000 people each year. Our properties tend to fill up quickly this time of year, so be sure to book your stay early! Book your stay online and automatically save 5%! 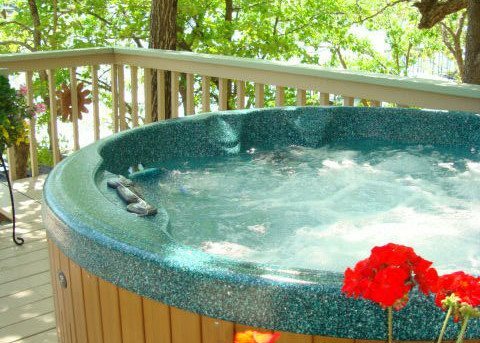 There’s no better way to unwind and relax on vacation than in a soothing, bubbling hot tub. Hillcrest: Enjoy relaxing on the private screened in porch that overlooks the entire lakeside. Just off the screened in porch is a separate sun deck complete with gas grill and lakefront hot tub. STAY HERE! Paradise Cove: Enjoy relaxing on the private screened in porch that overlooks the entire lakeside. Just off the screened in porch is a separate sun deck complete with gas grill and lakefront hot tub. STAY HERE! La Casa de La Bella Vita: This beautiful 5,300+ sq ft brand new, one of a kind, custom built home features the best of the best at the Lake of the Ozarks. 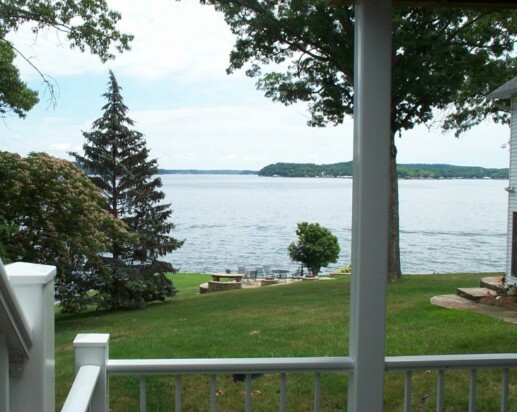 It is fully furnished and especially designed to capture the view of the lake from almost every room in the house. Outdoor chefs will love cooking on the gas grill that overlooks the lake’s no-wake cove. 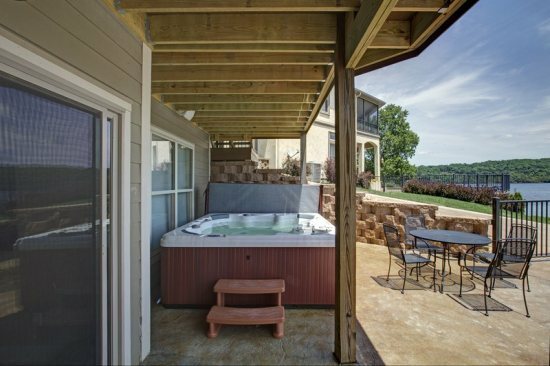 And if that isn’t enough to enjoy this property come with a private hot tub with seating for 7. STAY HERE! Shopping: groceries stocked for your arrival, outlet mall coupons available, special discounts to area boutiques, ordering flowers or cake for special events. Kid’s Programs: baby-sitting, pony rides, water parks and slides, day camps. Other Activities: guided tours, equipment rentals, helicopter tours, cruises, parasailing, go-carts, water sports, mini golf, paintballing, horse rides, fishing trips. Or any other details to make your vacationing experience complete! 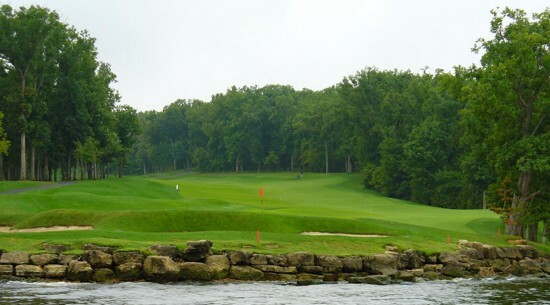 We can also send you Lake of the Ozarks vacation guides, restaurant guides, state park guides, and more. Remember our hospitality is yours for the asking! Holidays are always a great excuse to be with family and friends. And to eat and drink all things delicious! What is a St. Patrick’s Day staple in your family? ?